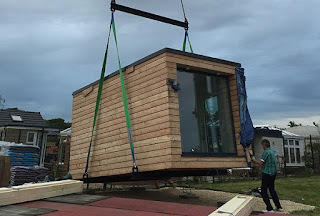 The prototype of an eco-friendly modular micro house was recently bought at auction in London, England for $15,000 last - $2,500 above the original guide price. 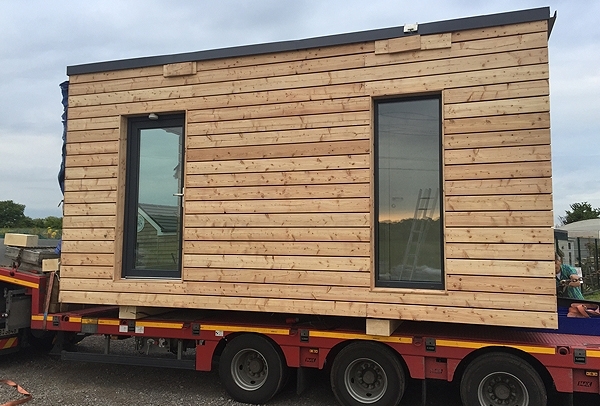 Buyer Mic Choudry, owner of Moving Home Company Ltd, intends to use the portable, 130 sq ft single residence - which measures about a third of the size of a London small flat - as living quarters for the foreman on his 25,000 sq ft commercial premises in Greenwich. 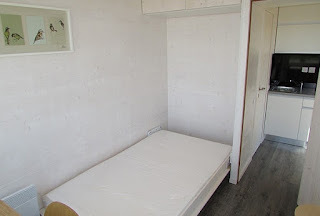 And if all goes to plan, he plans to invest in more modular micro houses fitted out with a fold-down bed, kitchenette and shower room, to explore the idea of creating a rental village that would be ideally located for the students of nearby Greenwich University. He says: "I think it was a good investment. It's a compact building and nicely fitted out, I think this would work particularly well in London." New models of the micro house are expected to retail for $25,000 and are attracting interest from parents looking to help their children to move out - even if it is just as far as the garden. !!!! It’s becoming too expensive for people to buy a house in the UK. 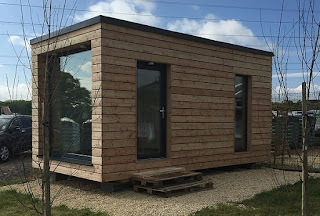 More and more people are looking for modular housing solutions. They will be made with energy-efficient timber frames and insulation, rather than the prototype's solid wood panels, so they will be cheaper to heat and will weigh less than the current 5.1-ton prototype. 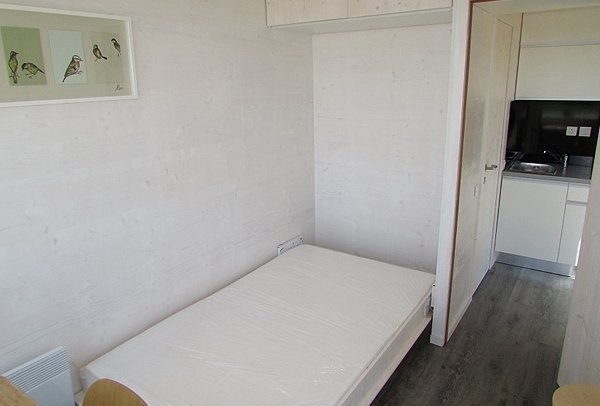 Crucially, it will only be 8ft 2in. 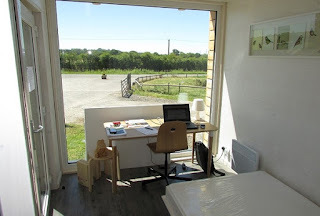 At about about 30 times less than the average price of a one-bedroom London flat - currently $785,000, modular micro-houses such as this could be one of the few chances young Londoners get to gain some independence from the family home.